Minghao Li and Harriet Palmer, New Zealand Tree Grower November 2018. Douglas fir is New Zealand’s second most popular plantation species with a total current planted area of around 104,000 hectares. Renowned as a structural timber, Douglas fir has been generally overlooked in the development of engineered wood products such as cross-laminated timber and laminated veneer lumber. However, as the market for engineered wood products booms, Douglas fir growers are keen to get in on the action. 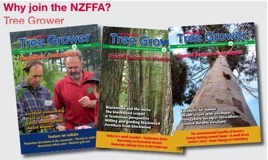 Douglas fir research in New Zealand has, for a long time, been driven by the people who grow it. The research is led by an industry group, working in collaboration with the Specialty Wood Products research partnership. This is a seven-year government and industry alliance which exists to develop the potential of Douglas fir, naturally durable eucalypts, non-durable eucalypts and cypresses and runs until June 2022. 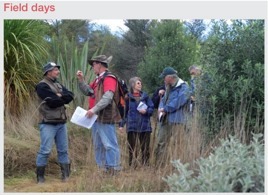 It is also part of the bigger Forest Growers Research organisation, which manages the majority of New Zealand’s levy-funded research. The Specialty Wood Products remit includes looking for new market opportunities. While Douglas fir is well known as an excellent structural timber, its uptake in the rapidly growing engineered wood products sector has lagged well behind radiata pine. One engineered wood product seeing rapid worldwide growth in popularity is cross-laminated timber. Global production of cross-laminated timber has risen from 600,000 cubic metres in 2012, reached a million cubic metres in 2015 and is forecast to increase to three million a year over next three years. Cross-laminated timber is made from sawn timber rather than peeled veneer, with layers of boards laid at right angles to each other and then compressed and laminated. Off-site prefabrication and fast construction process. A few new buildings are being constructed with the various engineered wood products available. These include a new Otago Polytechnic building and a large back-packers hostel in Christchurch. The new Beatrice Tinsley building at the University of Canterbury, being constructed mainly of laminated veneer lumber, featured in the fourth Forest Call television programme. In New Zealand cross-laminated timber is usually manufactured from radiata pine, but elsewhere in the world other timbers are used. Not surprisingly, Douglas fir growers are keen to explore access to the cross laminated timber market, and recently funded research at the University of Canterbury’s Department of Civil and Natural Resources Engineering as a first step towards developing a comprehensive database of the mechanical properties of Douglas fir cross-laminated timber. Dr Minghao Li, who led the research, has plenty of experience of testing radiata pine cross-laminated timber. In this project, two critical properties − rolling shear strength and embedment strength − were assessed. These were the first known tests on Douglas fir cross-laminated timber to be carried out in New Zealand and are just the start of a much broader testing programme including connection testing and large-scale shear wall testing. The original Douglas fir timber for the tests was from trees grown in the Hanmer Springs area and taken to XLam, in Nelson, New Zealand’s leading radiata pine cross-laminated timber producer. Three-ply, five-ply and seven-ply boards were produced which Dr Li then took back to the lab for testing. Rolling shear strength determines how much loading short-span panels or beams can take before they fail. The rolling shear strength of wood is usually very low and it may govern some designs for cross-laminated timber because it has a crosswise construction of timber boards. Embedment testing is important because large cross- laminated timber panels are often used in buildings and are connected with metal fasteners including dowels, bolts and screws. It is essential to know the embedment strength to properly design the types of connections. Dr Li also tested different configurations of dowelled and screwed connections, to evaluate their behaviour in terms of strength, stiffness, and ductility which is the ability to deform and sustain the load without breaking – all essential criteria in seismic performance. The test results revealed that the Douglas fir cross-laminated timber had comparable strength properties to radiata pine cross-laminated timber. This is what you would expect, given the similar strength properties of Douglas-fir. The connections also demonstrated reliable behaviour with high strength and stiffness along with superior ductility, meaning good seismic resilience if used in buildings. These tests are early stages of a comprehensive suite of tests which will include constructing the equivalent of a three-storey building in the new labs at the Department of Engineering, so that a full-scale structural system can be tested. Dr Minghao Li is senior lecturer in Civil Engineering and Natural Resources, Department of Engineering, University of Canterbury. Harriet Palmer is an independent forestry communications specialist. Selection and breeding which is underway at Scion. The aim is to improve growth rates and form while maintaining stiffness properties. Breeders are also targeting needle retention indicating resistance to Swiss needle cast, the main disease threat to Douglas fir. Research to improve the value of Douglas fir thinnings, top logs and trees with poor form has identified another engineered wood product termed oriented engineered lumber. This has potential and some early tests have been carried out with the owners of the process. The aim is to increase the value of low-value short lengths of Douglas fir logs by $70 a cubic metre. Work to develop sterile plants to overcome the problem of Douglas fir wildings is also in full swing, in a separate programme, with some encouraging progress reported by Scion.